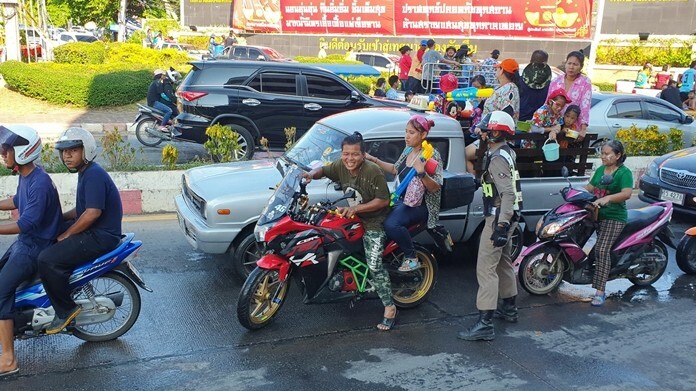 Lufkin, Texas (AP) – A Texas woman is being held on several charges after she slipped her handcuffs, stole a police SUV and then led officers on a pursuit that reached speeds of nearly 100 mph (160 kph). Thirty-three-year-old Toscha Sponsler was being held Thursday in the Angelina County jail on charges that include evading arrest. Authorities say Sponsler had been detained Saturday on suspicion of shoplifting and was in the back of the SUV when she managed to slip her hand through one of the cuffs. Video released Tuesday by Lufkin police show her then squeezing through a partition to reach the front seat. A chase went on for about 20 miles (30 kilometers) before a state trooper managed to spin her out. Online jail records don’t indicate whether she has an attorney. 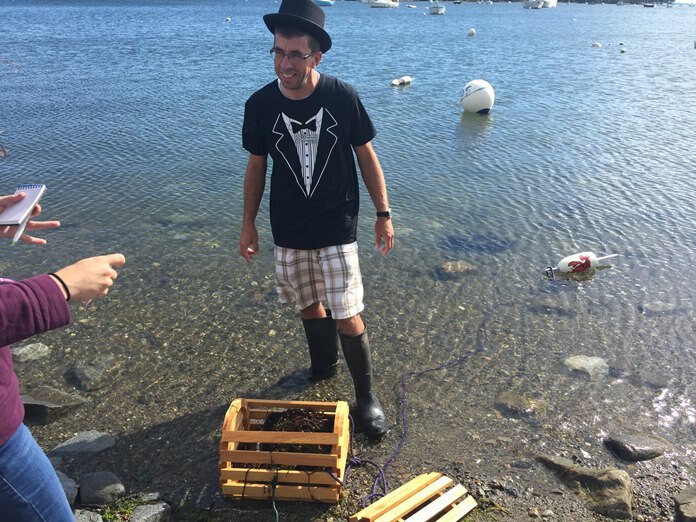 Belfast, Maine (AP) – A group of Mainers says Passy Pete the Lobster has predicted six more weeks of summer at an annual ceremony. The crustacean has been fished out of the Passagassawakeag River for the past three years in a tradition modeled after famed groundhog Punxsutawney Phil’s winter prediction in Pennsylvania. David Crabiel and his business partner, David Brassbridge, thought up the eccentric ceremony as a way to have some fun. Each year, a group of barons flank Passy Pete as he picks a scroll to determine whether Maine will see an extended summer or be greeted by winter. This year’s ceremony took place Monday. Crabiel tells WLBZ-TV (http://on.wlbz2.com/2w3mCUk) Pete’s been right the past two years. Brassbridge says they hope to carry on the tradition. Lititz, Pa. (AP) – A girl says she and her friends are behind the red balloons found tied to sewer grates in a small Pennsylvania town, not a homicidal clown. Seventeen-year-old Peyton Reiff tells PennLive.com (http://bit.ly/2eNBQu5 ) the girls were trying to scare their friends in Lititz after seeing a trailer for the upcoming movie “It.” A red balloon is the calling card of Pennywise, the sewer-dwelling, child-eating clown in Stephen King’s novel-turned-movie. Reiff says the teens were surprised at how much attention the prank got after the local police made a playful post on Facebook, saying they were “completely terrified” to remove the balloons. Reiff says they will meet with the department for a “funny follow up,” but says they are not being punished. New York (AP) – Some New York City foodies say a neighborhood pizza festival has left them with a bad taste in their mouths. Prosecutors are looking into the New York City Pizza Festival after attendees fumed they paid $75 each to eat cold slivers of pizza in a parking lot in Brooklyn on Saturday. The festival was promoted as a celebration of pizza. Attendees say on Facebook they instead got cold slices of pizza “smaller than a sample size,” served with glasses of warm wine. WNBC-TV reports Democratic state Attorney General Eric Schneiderman (SHNEYE’-dur-muhn) is urging attendees to file complaints on his website. A spokesman says prosecutors opened an investigation Monday. Festival organizer Ishmael Osekre says event producer Hangry Garden delayed the event. The event producer contends it was misled by the organizer and wasn’t paid. 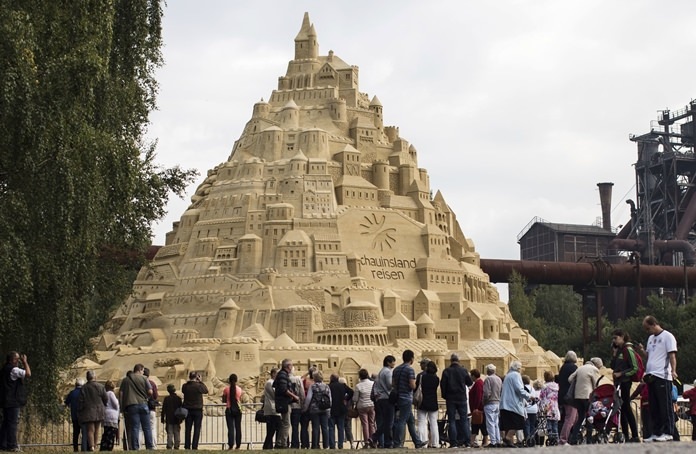 Berlin (AP) – The world’s highest sandcastle is now standing 16.68 meters (54.72 feet) tall in the German city of Duisburg. A German travel operator organized the construction of the mammoth sandcastle, bringing in 3,500 tons of sand over the past 3 ½ weeks to the site at a former steelworks in the inland city. News agency dpa reported that Jack Brockbank, a representative of Guinness World Records, certified the record on Friday. 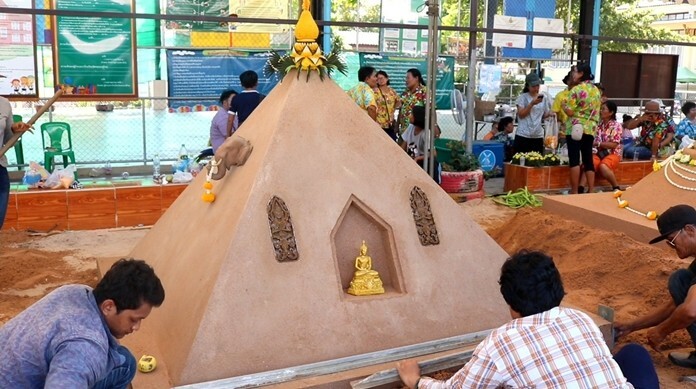 It takes the title from a 14.84-meter (48.69-foot) sandcastle built early this year in India. The new sandcastle is decorated with sand models of tourist attractions such as Athens’ Acropolis, Barcelona’s Sagrada Familia and the Leaning Tower of Pisa.